We love video games. We love board games. We love board games based on video games, but sometimes it seems like one company has exclusive control of the market. Guess we'll just have to make our own. Based on a suggestion from a guy we all know, this week's Photoshop contest is all about transforming our favorite video games into board games. Think Grand Theft Auto would pair well with The Game of Life? Go for it. Pokemon Risk? I'd play it. Another f'ing Monopoly game? Really? Maybe don't do that. Unless you can make it funny. Seem like a complex task? It doesn't have to be. Make a special playing piece for an existing game, or just give some of the spaces on an existing game board a makeover. I'm not asking you to completely redesign Chess. Though that would be very cool. As always, results shall be posted next weekend. 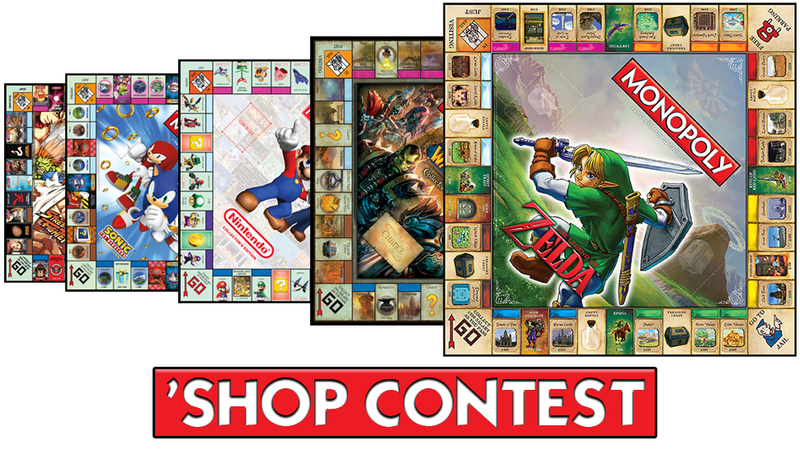 Want the same instructions from every other 'Shop Contest post pasted below? You got it, pal.